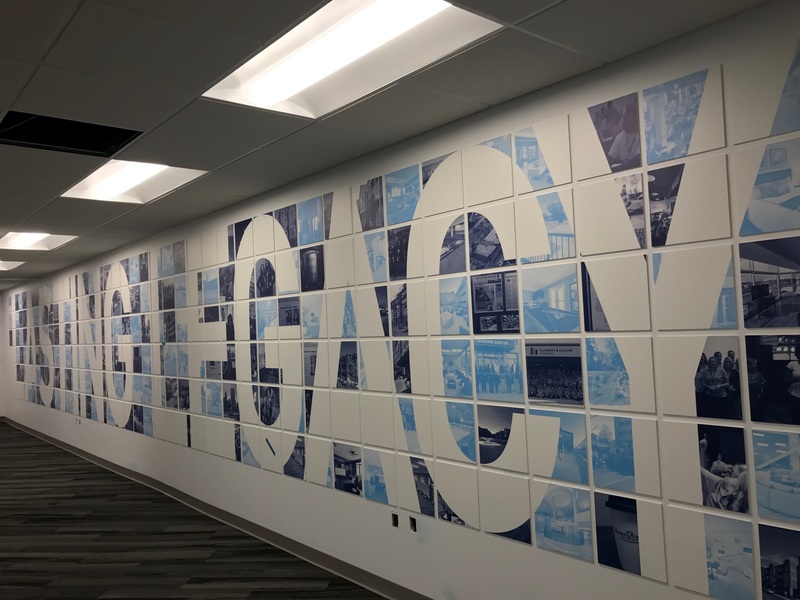 MSD was commissioned to create 4 large installations in the new space for developer Flaherty and Collins in the Regions Tower in downtown Indianapolis. The client wanted to convey the positive impact they have made on the community and how it puts its employees first. This installation was to showcase the lasting legacy they are leaving with the city. 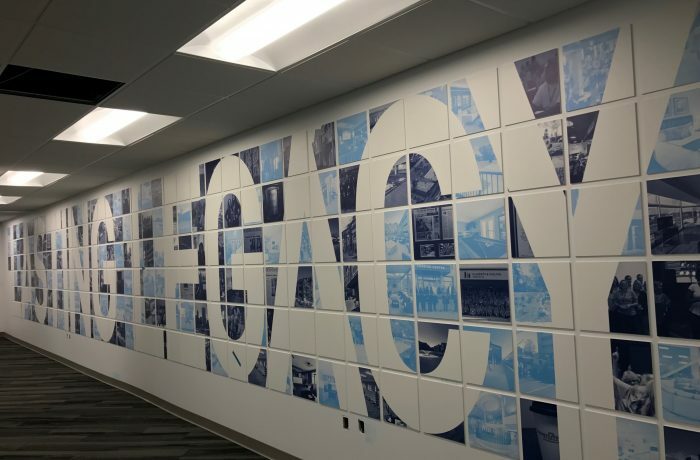 We came up with a way of incorporating over 300 images to form the words “lasting legacy” on a long hallway. The end result is approximately 48′ wide by 6′ tall. We think it came out great!